Home / Ultrasound Technician / Becoming An Ultrasound Technician / What Does a Medical Sonographer Do? What Does a Medical Sonographer Do? Doctors frequently are able to diagnose a medical issue by analyzing a list of symptoms and looking at a patient with only minimal equipment. Sometimes, however, doctors need images of internal structures of the body to make a diagnosis and come up with a treatment recommendation. Without medical sonographers and others in the closely related field of radiology, this would not be possible. The overall goal of a medical sonographer is to obtain an image of one or more structures in the body. To do this, the sonographer begins by speaking with the patient and gathering a basic medical history, adding information to the patient’s medical file. The sonographer then explains the sonography procedure he is going to perform. The sonographer then moves on to positioning the patient to get the best access to the internal structures, making the patient as comfortable as possible. Once the patient is in place, the sonographer uses his sonography equipment to view the internal structures and take still images or video footage. During the procedure, the sonographer has to decide which images or footage is good enough for diagnostic purposes. A sonographer is not qualified to offer a formal medical diagnosis, but following the procedure, the sonographer makes initial calculations measurements and analyses of the images or footage so the doctor can work quickly. 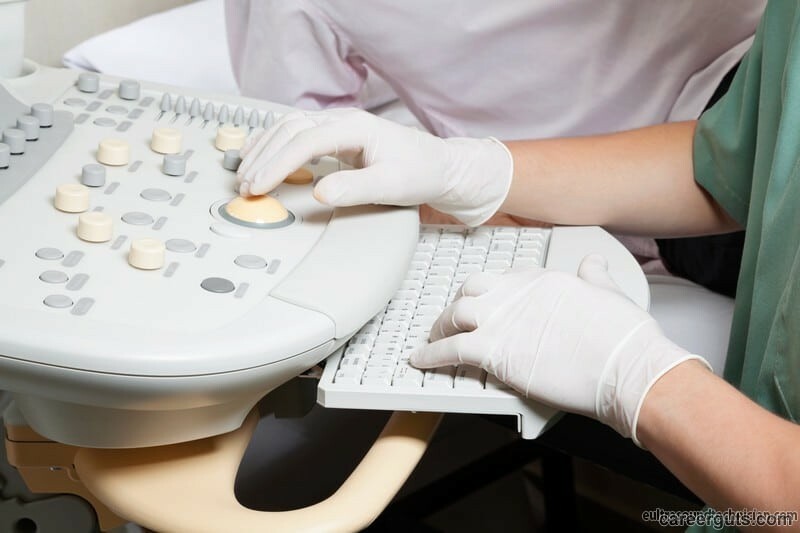 Thus, a sonographer has to be very aware of the purpose of all the procedures he performs and what the doctor would need to see in order to make a formal analysis. In some cases, sonographers want to focus less on diagnostics and more on treatment. These sonographers can work with physical therapists and specialized doctors to alleviate a variety of symptoms. For instance, sonography produces very tiny amounts of heat within the tissue of the body. This can relax muscles and alleviate pain. Sonographers also work to treat cysts and tumors, clean teeth and even treat cataracts. 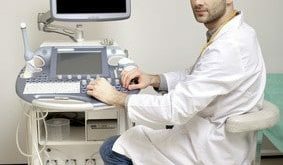 Sonographers sometimes are responsible for administrative tasks such as maintaining patient records, setting appointments and scheduling shifts for others in the department. It is often their responsibility to clean and maintain the equipment they use and to alert appropriate personnel when repairs or orders are necessary. Sonographers use a combination of different technologies to do their job. The primary piece of equipment is the transducer. This piece of equipment sends painless sound waves through the body. To reduce friction between the transducer and the skin and make it easier for the sound waves to travel, sonographers place a gel on the skin of the area to be examined. As the sonographer works, the sound waves bounce off the body tissues. A computer translates these bounces or echoes, using the time between echoes to measure the distance or depth of the tissue and determine how bright to show an area on the computer screen. Some sonographers have specialized transducers based on the area of the body they examine, such as the transducers used for breast examination, but the basic process of how the equipment works is the same. Most medical sonographers work in clinics and hospitals, although some work in other settings such as nursing homes. These sonographers may do general sonography work, but some sonographers choose to specialize in areas such as obstetric, cardiologic, abdominal, breast or vascular sonography. Sonographers must receive a minimum of one year of education, which results in a sonography certificate. 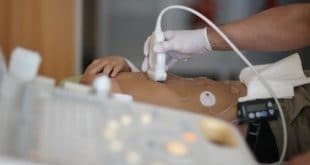 This route is best for those with previous medical experience who want sonography training to become more marketable, according to the Bureau of Labor Statistics. Sonographers typically receive at least two years of postsecondary training in the field, receiving an associate’s degree. Four-year programs that offer bachelor’s degrees are available as well, however. These are most appropriate for those who want to specialize or prefer more in-depth training. Programs are available at vocational and community colleges, four-year institutions and the Armed Forces. Education focuses on courses such as biology, physics, sonography, anatomy and physiology. Although licensure is not required, certification via organizations such as the American Registry for Diagnostic Medical Sonography (ARDMS), American Registry of Radiologic Technologists (ARRT) and Cardiovascular Credentialing International (CCI) offers certification and registration. Employers prefer registered and certified sonographers. Similar to other medical personnel such as nurses and paramedics, sonographers must be physically fit, lifting patients for proper positioning when necessary. Much of the time a sonographer works is spent standing or walking. Sonographers also have extended exposure to darkened rooms, because the darkened room makes it easier to see and interpret the images on the computer screen. Sonographers are responsible for obtaining, documenting and transmitting patient information. They thus have to be well organized and have excellent oral and written communication skills. Good bedside manner and professionalism is also critical, because sonographers deal one-on-one with doctors and the patients they examine. Sonographers also must be detail oriented, because missing something during the sonogram can affect the final diagnosis adversely. 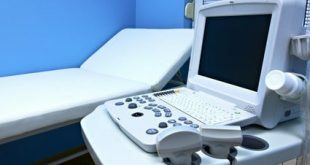 What are the Requirements to Become an Ultrasound Technician?